Recent global opinion surveys classified Turkey among the countries where the United States enjoys the least favorable opinions. The deterioration of the US image in Turkey could be considered a result of the recent US political and military involvement in the Middle East and the perceived clash of US and Turkish national interests in the region. 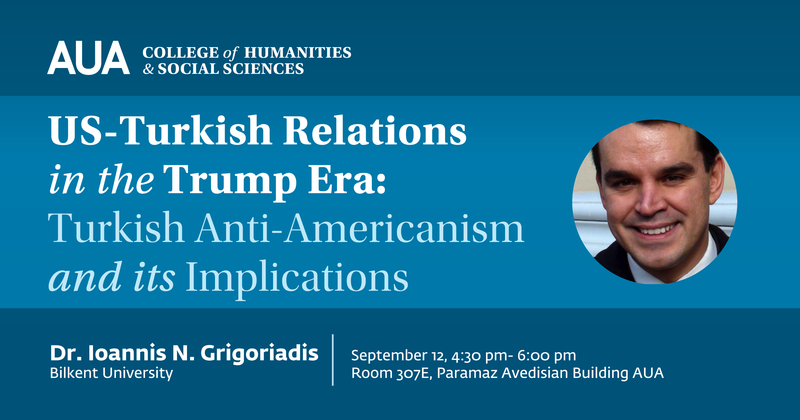 The rise of anti-Americanism could also be attributed to socio-political shifts inherent to Turkey’s democratization process. While the United States has set support for democratization among its primary global strategic targets, it needs to be aware that democratization could complicate US relations with democratizing states, especially as long as the United States seems indifferent to the sharp decline of the US image at the global level. Recent shifts in Turkish politics and the election of President Trump have added pressure to the relations, which may indeed reach a critical juncture. Dr. Ioannis N. Grigoriadis is Assistant Professor and Jean Monnet Chair of European Studies at the Department of Political Science and Public Administration, Bilkent University and Research Fellow at the Hellenic Foundation for European & Foreign Policy (ELIAMEP). Between 2004 and 2009 he taught at Sabanci University, Isik University and the University of Athens. His research interests include European, Middle Eastern politics, nationalism and democratization. His publications include three books: Democratic Transition and the Rise of Populist Majoritarianism: Constitutional Reform in Greece and Turkey, (London & New York: Palgrave Macmillan, 2017), Instilling Religion in Greek and Turkish Nationalism: A “Sacred Synthesis”, (London & New York: Palgrave Macmillan, 2012) and Trials of Europeanization: Turkish Political Culture and the European Union, (London & New York: Palgrave Macmillan, 2009).